The last thing Atticus Pünd wants to do is to investigate one last case – and it will be his last, as he has received grave news from his doctor – but following a request to look into the accidental death of Mary Blakiston, a busybody cleaning lady, who fell to her death down a flight of stairs. It had to be an accident, after all – the doors to the house were all locked. But when the owner of the house is decapitated – and not in an accident – Pünd and his young friend James Fraser find themselves hunting one last murderer. This is the summary for the latest Atticus Pund novel from Alan Conway, but Susan Ryeland, who works at Clover Books, his publisher, would never expect the effect that the book will have on her life. 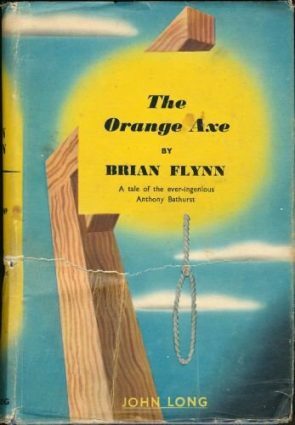 As the book progresses, it is clear that there is something more here than a simple Golden Age detective novel. Soon events in real life start to take precedence – just what was Alan Conway trying to achieve? And why has someone resorted to real life murder? OK, this is going to be a tricky one to review, especially given my spoiler policy – generally, I don’t mention anything that happens after the first third of a mystery novel, but there’s a very clear change of direction at almost exactly the halfway mark. So I’m going to have to tiptoe round that bit. The thing is, even if this book was just the Pünd manuscript, this would be worth the admission price. People were very critical of Sophie Hannah’s Poirot continuations, but I wonder, if they were of this style, would people have been so disappointed? For Pünd is very Poirot-esque, while still being his own character, and the mystery is a thing of beauty – fairly clued, while still being original, and with a perfect solution that I missed by a mile. And then you get the second half, that I won’t go into detail about, but it’s just as satisfying – a second mystery with strong ties to the first, along with a stunning clue hidden in plain sight. The less you know about Magpie Murders before reading it, the better, so I’ll leave it at this – a deeply satisfying multi-layered mystery novel that you won’t be able to put down. A tribute to the Golden Age while still bringing things into the present day. Highly Recommended. Stay tuned to the blog as in a week or so, I’ll be taking a look at Horowitz’s latest mystery, The Word Is Murder. If it’s half as good as this one, I’m in for a treat. 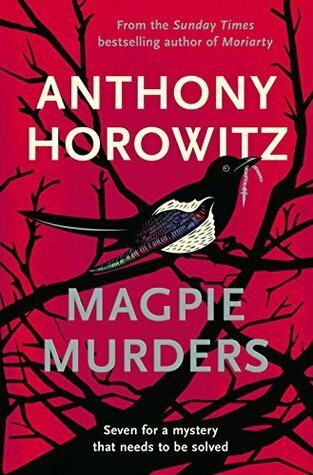 If I read Horowitz’ own words on ‘The word is Murder’, than I think he’s taking the premisse in ‘The Magpie Murders’ one step further. ‘It’s been two years since Injustice aired and Detective Daniel Hawthorne needs cash. 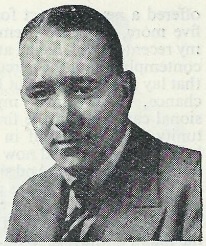 Having gotten himself fired from his job at the Metropolitan police, Hawthorne decides to approach Anthony Horowitz. He’s investigating a bizarre and complex murder and he wants Anthony to write a book about it, a bestselling book of course, with a 50/50 split. Glad you enjoyed this one. I love it too. Got The Word is Murder on my TBR pile and hope to get to it soon. I’m in the middle of another of your past recommendations and plan to review it soon . . . that is, if the start of school this week doesn’t slow me down as considerably as I fear it might! Absolutely loved this book and have very high hopes for the next one. Horowitz is perhaps one of the finest living mystery writers, in my humblest of opinions. I’m a great fan of Horowitz, I like his young adult novels, his collection of short horror story, his Bond (Trigger Mortis, a great sequel to Goldfinger), his entertaining Alex Rider serie and his House of Silk about Sherlock Holmes. He really is super, I doubt the man has ever published a single bad word. He is my literary hero, delighted to meet a fellow fan! Glad it’s good – not that big a fan of his TV stuff (everybody apparently likes FOUYLE except me) but hard to resist such a positive review mate! I bought the Kindle version of “Magpie Murders” and am reading it now. Currently I’m around page 50. I don’t know how well the mystery-within-a-mystery is, but Atticus Pund comes across as a very good takeoff on Hercule Poirot. If the Agatha Christie estate continues to commission authors to write “new” Poirot mysteries, I would love to see what Anthony Horowitz does. If they don’t, I wouldn’t mind him write one of the “earlier” Pund mysteries that are listed in the fictional Alan Conway bibliography. It’s hard to say much without spoiling the book, but I’m going to try. I have not finished the book, but I read the book out of sequence so I could enjoy “Mystery #1” completely. Am I the only one here who did this? I probably should have done what you did, Puzzle Doctor. The reason I didn’t is ironic. I assume that most people reading this blog probably have a job where they only work eight hours and then there is no penalty for reading a Kindle on your break. Four days a week, I work ten-hour shifts, and for the ten and a half hours that I am inside the warehouse where I work, I am not permitted to bring a Kindle past the security gates. What’s so ironic about it? I work for Amazon! At one point, it’s revealed that Alan Conway, the author of the Atticus Pünt novels, keeps a collection of every Agatha Christie mysteries for reference in his writing study. I would not be surprised if Horowitz does the same because this book is clearly a love letter to Dame Agatha. I was amazed at how quickly I could ignore the differences clearly set up to show that Punt was NOT Poirot, because the more I read, the more Atticus Punt became Hercule Poirot. 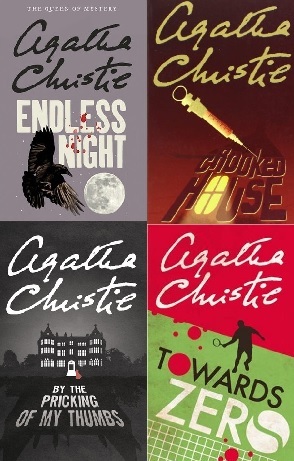 I don’t know if the Agatha Christie estate would commssion Horowitz to write a new Poirot book after getting Sophie Hannah to write two, or if Horowitz would be willing to write a full-blown Atticus Punt novel that is merely alluded to in the book, but I’d be willing to buy it. Last comment is that this has to be the most interesting MOTIVE for a murder that I’ve seen in a long time. This book is highly recommended.